Join the Tru Squad on Saturday, November 24th for a FREE screening of either The Grinch or Robin Hood! The movie and popcorn is on us! 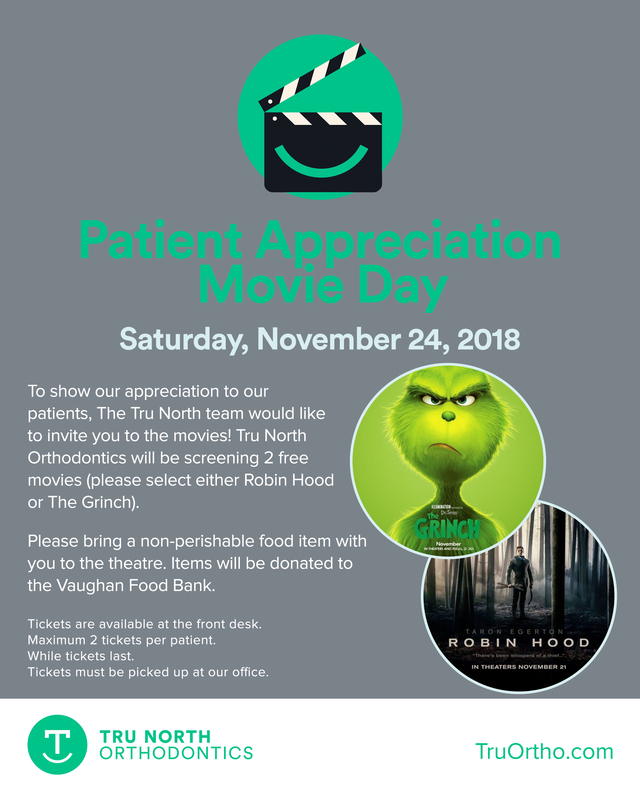 We ask that you bring a non-perishable food item with you to the theatre to donate to the Vaughan Food Bank. Contact our office for details on how to get your tickets!